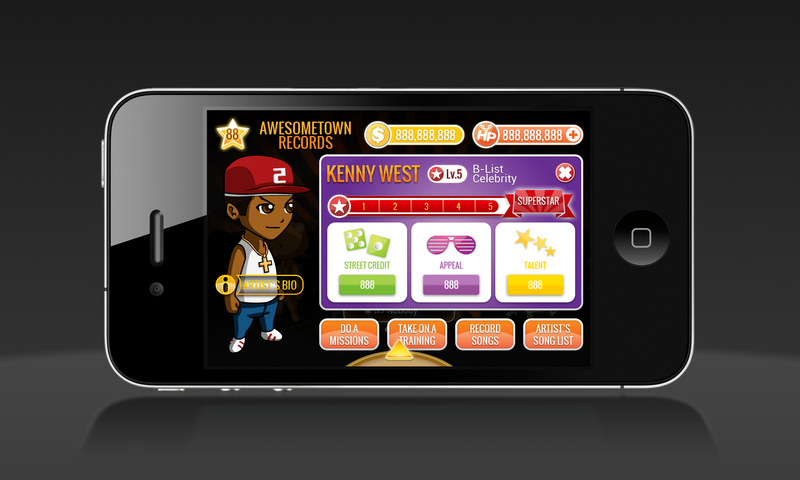 This project is a mobile gaming marketing component of the partnership of Hungry Eyes Film & Television and XMG Studio. 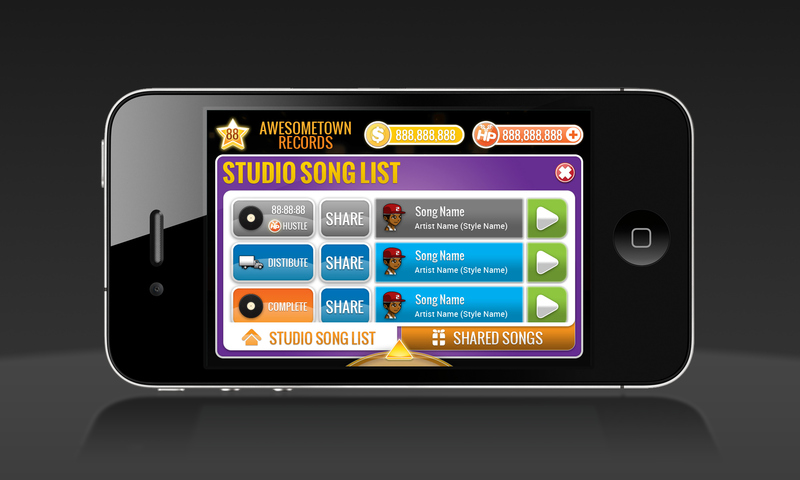 The main objective of the game is to put users in the role of a music studio manager in order to run the studio doing tasks such as signing new artists, recording and distributing a song etc. 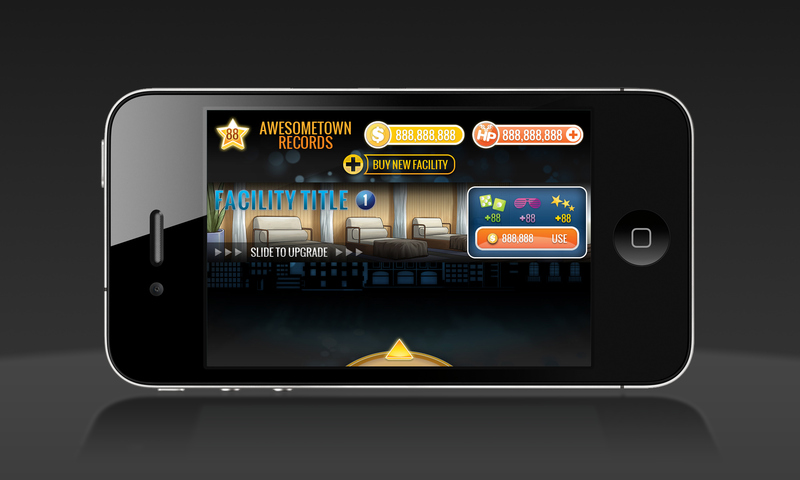 This game is exclusively on Apple App Store for iPhone and is testing for iPad as well. To understand and incorporate all featuring gameplay elements into the entire user-interface and experience from architecture to design. 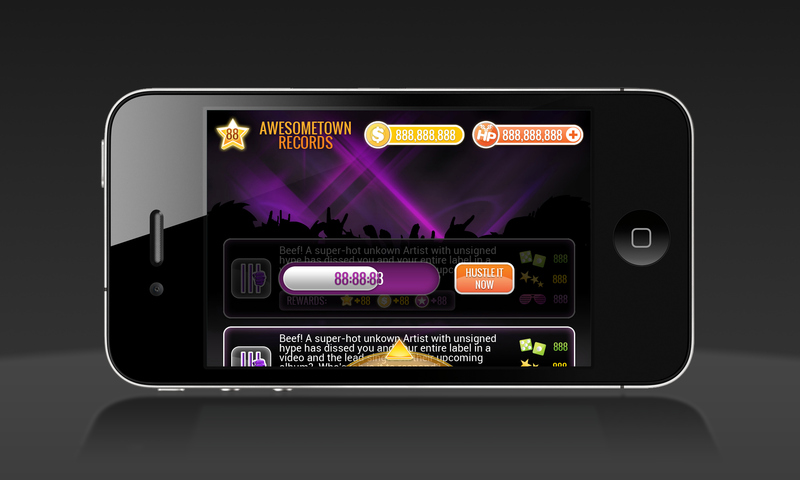 The main part of the game starts with the carousel selection system for all the artists the player signed. Each with his/her own different status of where about (i.e. available/in-game-wait-time). 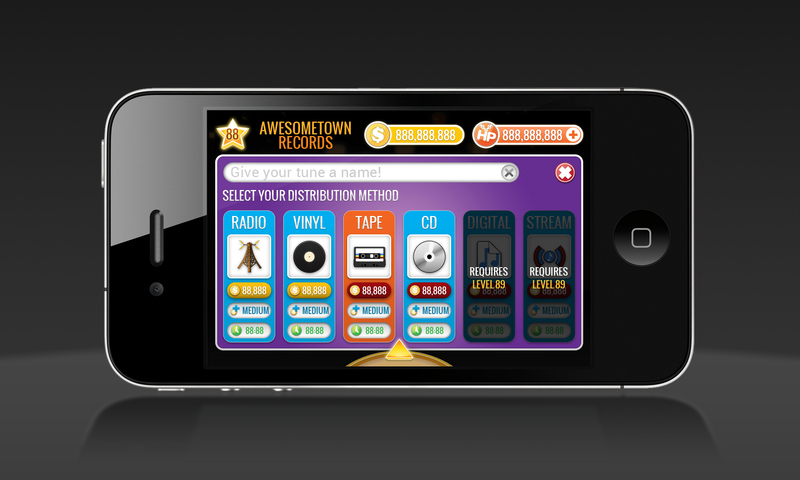 Players then can choose one to interact with him/her by selecting to view the profile and put him/her into an action (record a song, make publicity etc.). Players can also open up the main navigation wheel and access to the main navigation, which works as a gateway to different main areas of the studio, at any given time. 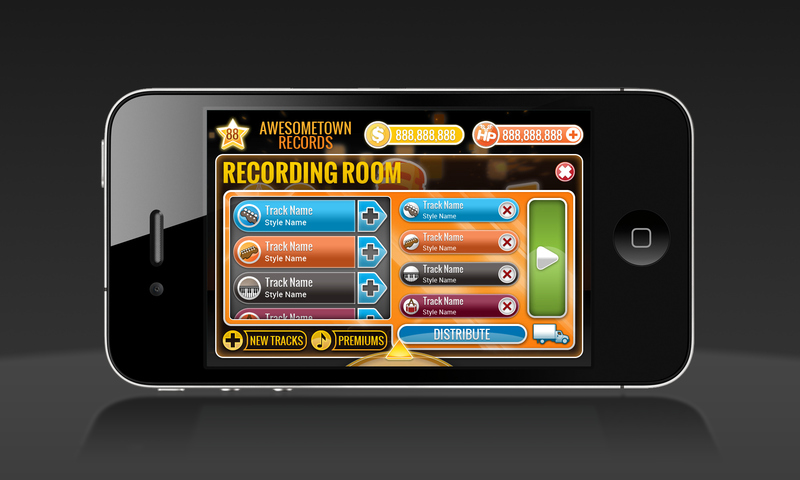 The recording studio area main provides in-studio activities such as recording, distributing and sharing songs. 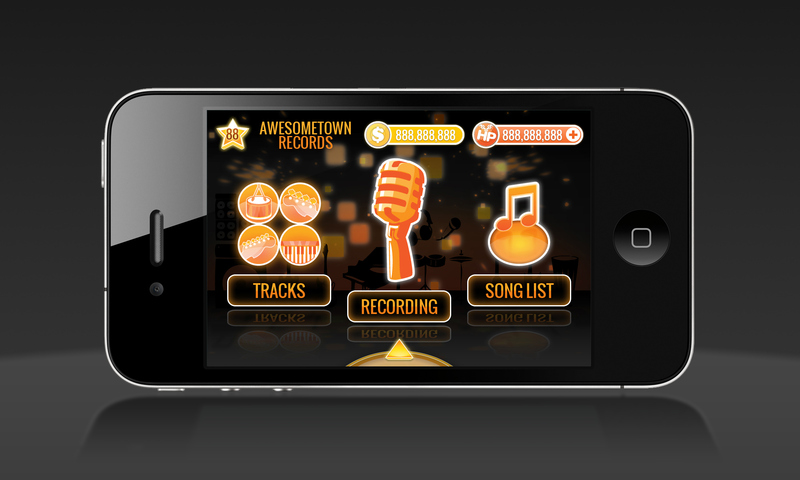 Player can also progress through the gameplay and level up to unlock more available tracks in order to record songs with more variety of sounds. 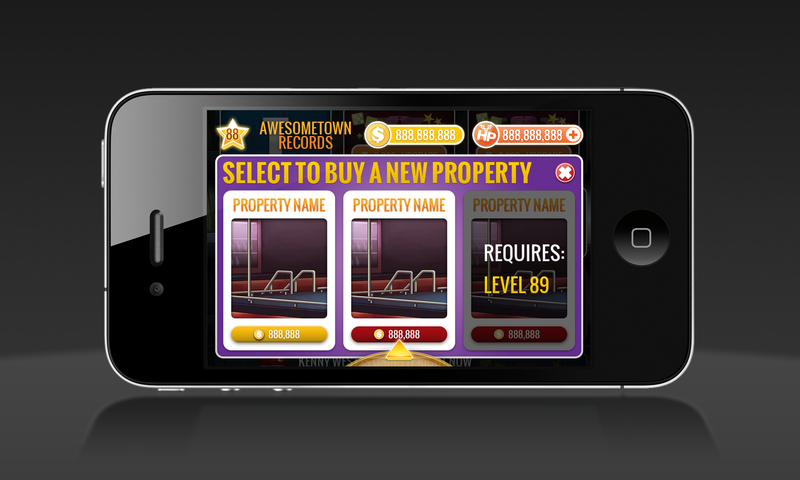 The property area of the game offers player ability to purchase different properties and interact with these properties to level-up the artists and open up mission availability. 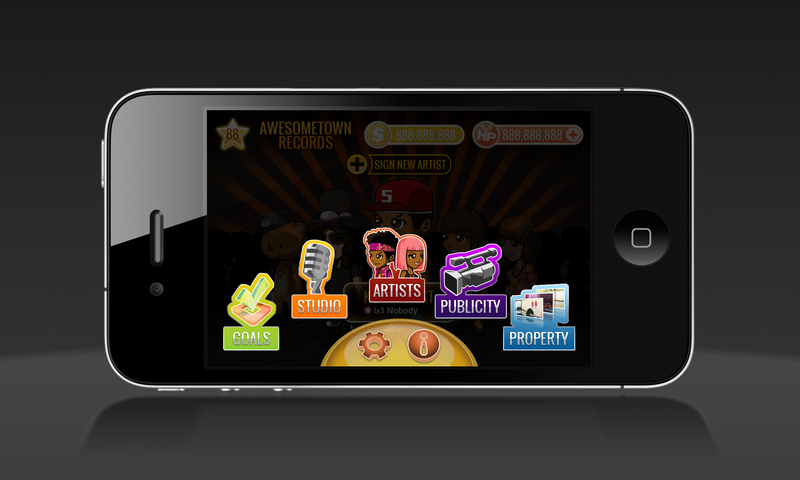 The publicity area showcases number of missions for the player to accomplish to use and upgrade the artists and the studio. These missions often have both positive and negative sides of activities, but the end goal is to allow the artists to simply get more famous. 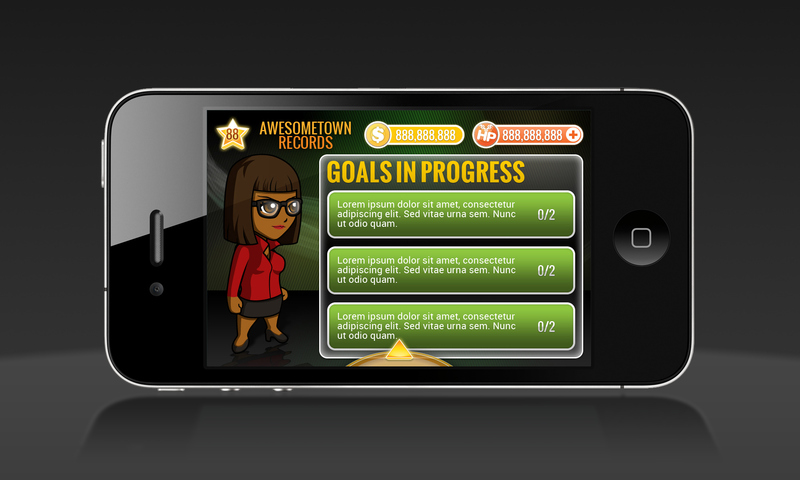 The goals area is where extra achievements can be made by accomplished various activities. These are wide-ranged and often more time consuming than other activities and missions, but players will earn extra achievements and items by accomplishing these goals.